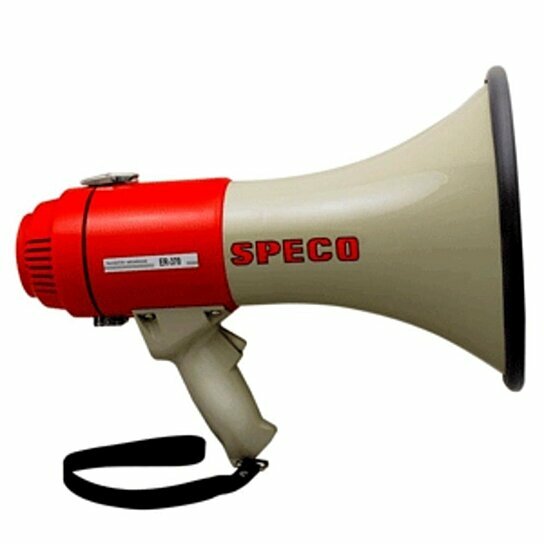 Our 16 watt deluxe megaphone features a built-in switch selectable electronic alarm siren, pistol grip, press to talk switch, volume control, and shoulder strap. It is weatherproof. It uses eight C-batteries, which are not included.